Hazel played for the choir during its Mozart Requiem and Schubert Mass in C concert in March 2006 and Baroque Masterworks concert in March 2007. Hazel Brooks read languages at Clare College, Cambridge. After graduation she studied violin at the Hochschule für Musik und Theater in Leipzig, and at the Guildhall School of Music and Drama in London, where she won various prizes including the Christopher Kite Memorial Prize and the Bankers Trust Pyramid Award, and she was a finalist in the international competitions in York and Antwerp. 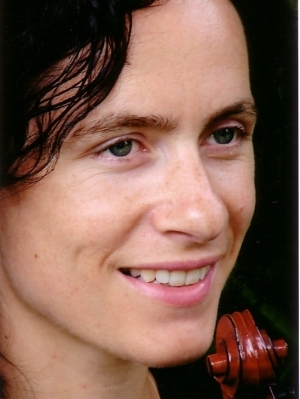 As a baroque and classical violinist, Hazel works as a chamber recitalist as well as playing with some of the leading period-instrument orchestras. Recital venues have included the South Bank Centre in London and the Barcelona Early Music Festival. She has released a solo CD with harpsichordist David Pollock. Also a medieval specialist, Hazel is in demand as a vielle (medieval fiddle) player throughout Europe and America. She is currently involved in an exciting project combining Western and Moroccan musicians in an attempt to recreate the music of medieval Spain.